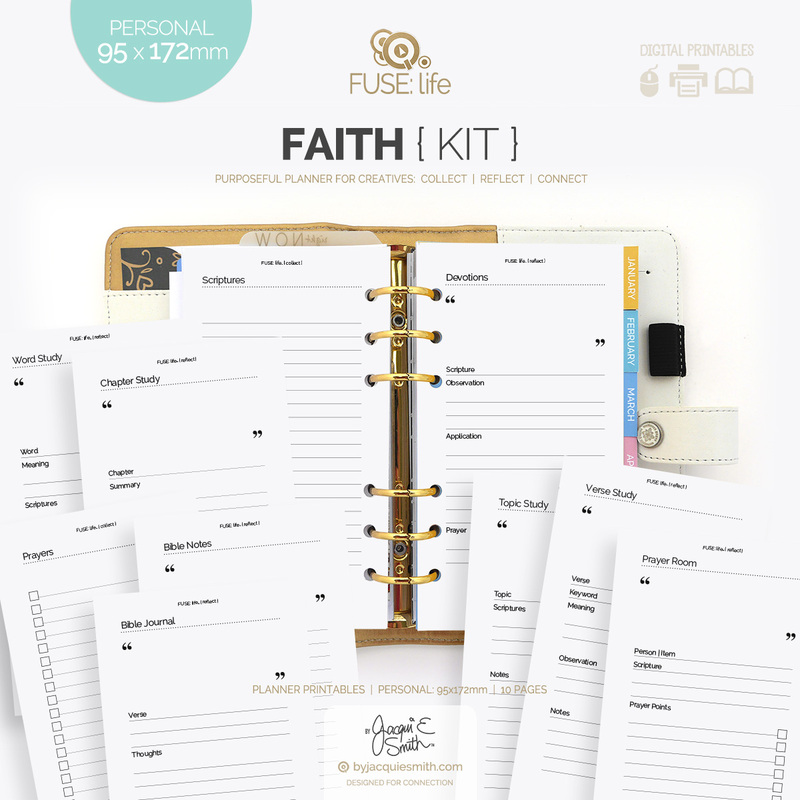 Make space in your planner to get creative with your faith! Spending time with Our Creator is the perfect way to begin each day. time reading the bible and prayer need not be boring, express your creativity as you sit at His feet. He is after all the creator of everything. 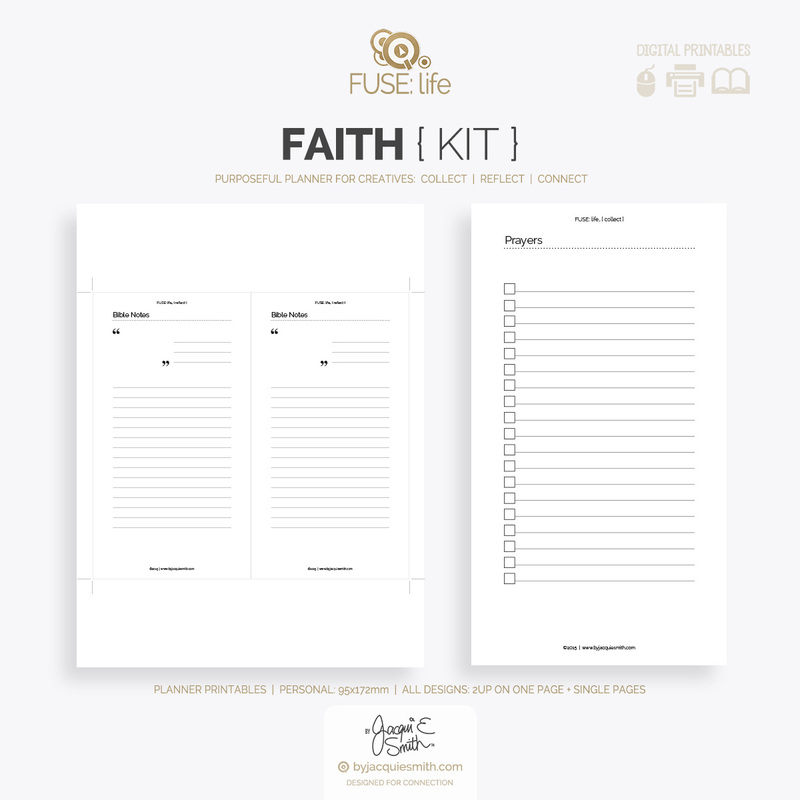 With these Faith FUSElife printable planner kit you’ll have space for prayers, bible notes, scriptures, devotional time + so much more. Create a powerful prayer room in your planner, inspired by The War Room movie. Live a creative life you love! 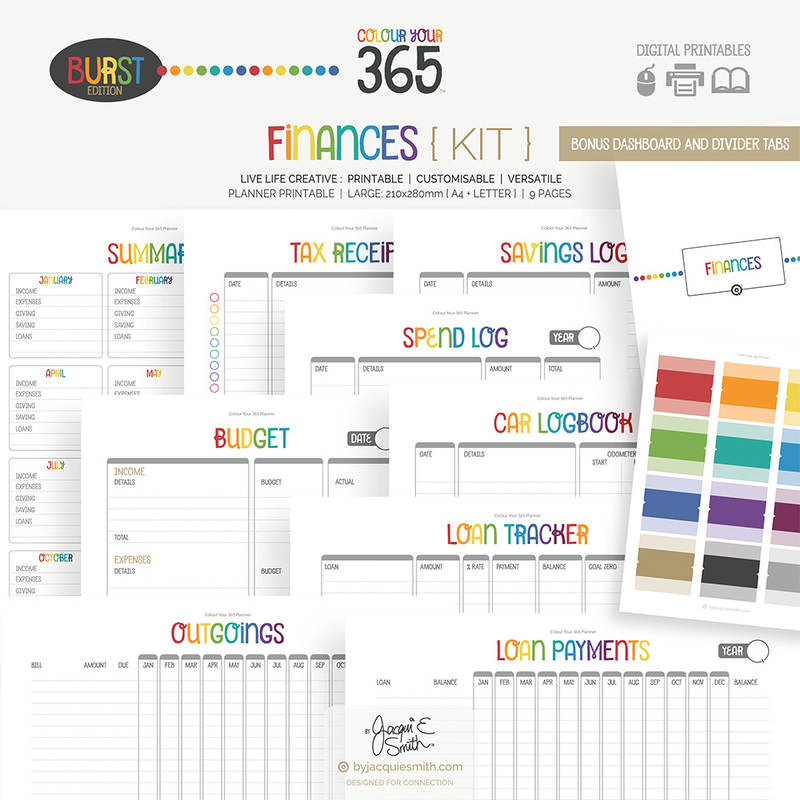 The products coordinate with Kikki K, Websters Pages, Kate Spade, Filofax, Franklin Covey, Day Runner, Day Timer, Levenger Circa discs, Staples Arc discs and many more planner binders. Please note: Drop shadows are not included. This is a digital product. No physical product will be delivered to you. 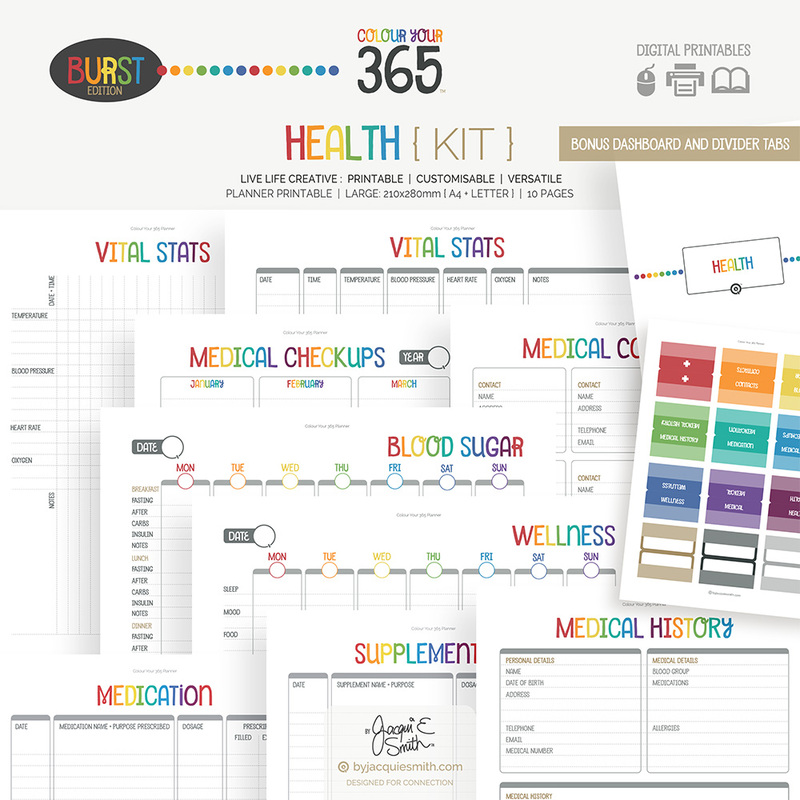 More Planner Goodness For You! 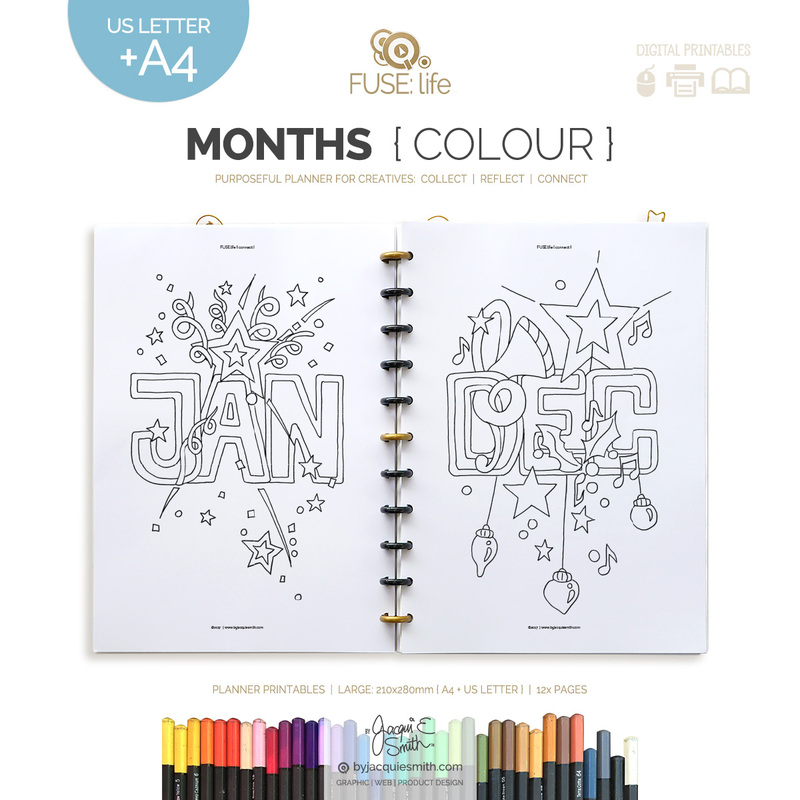 Receive an exclusive store coupon on new releases for newsletter subscribers + a bunch of other free goodies … join us here!